Professor Alison Macfarlane has been named as one of City’s Extraordinary Women for her research work on the health and care of women and babies. A photograph of Professor Macfarlane will be added to the “City’s Extraordinary Women” display in College Building. The recognition is part of City’s annual International Women’s Day event on 8th March where it celebrates the achievements of women past, present and future. Active areas of research for Professor Macfarlane include the evaluation of settings for birth, children from multiple births and their families and health inequalities, including reproductive health and migration. As a statistician, she is interested in the interpretation and use of official statistics and their relationship to policy on health and health care in their widest sense and to maternity in particular. Because of this, she was approached by leading campaigner, the late Efua Dorkenoo, to work with her on two frequently cited projects to estimate the prevalence of female genital mutilation in England and Wales. With many years’ experience in perinatal epidemiology and the evaluation of maternity care, Professor Macfarlane was appointed by Dora Opoku in March 2001 to lead research in the Department of Midwifery in what was then the St Bartholomew School of Nursing and Midwifery. In October 2010, she stood down from her role as research lead, but has continued to research part time since retiring from full time work in March 2011. After studying statistics at UCL, Alison worked as a statistician in agricultural research, transportation surveys and on the health effects of air pollution. She then moved to the London School of Hygiene and Tropical Medicine to work on analyses of data relevant to the health of babies and children. 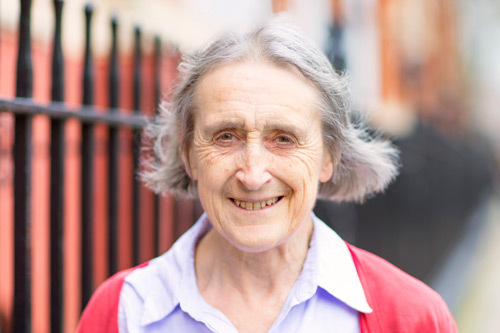 In 1978, she joined the newly formed National Perinatal Epidemiology Unit in Oxford and worked there until 2001 on research related to maternity care and the health of women and babies. City has benefited from notable women in the health field, for example Eva Luckes who corresponded with Florence Nightingale and established nurse education at the London Hospital in the 1870s and Dora Opoku, who revitalised midwifery education there in the 1980s and led the Department into City in the 1990s. I have been fortunate in being able to work with some really great women locally, nationally and internationally during my time at City. At a time of major threats to the NHS and universities we all need to work together to enable this tradition to continue. City women have been achieving the extraordinary since Victorian times and we are proud to celebrate those whose work or study here forms a remarkable story of achievement. As a result it is an honour to add Professor Macfarlane to the illustrious list for her work in perinatal statistics and women’s health. Women such as Alison inspire us because they are ready to challenge, to make life better for others and to push the boundaries of what can be accomplished. City’s other extraordinary women in Health Sciences include Professor Julienne Meyer CBE, Dora Opoku OBE and Judith Morris. A new extraordinary woman will be selected annually on International Women’s Day.